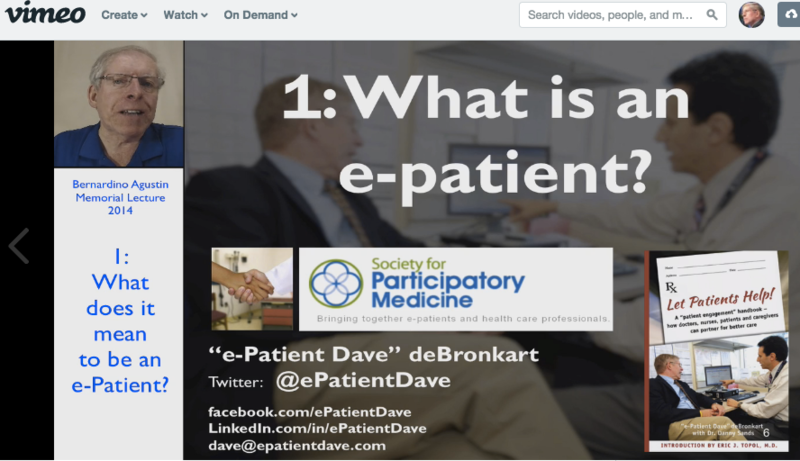 One of the major enablers of the e-patient movement is the internet. In addition to serving as a vast widely-accessible library, it provides “information capillaries” that make it possible for vital information to flow to the point of need – without centralized control. My life is just one of many that’s been saved by this radical change in what’s possible. Another mechanism is that the Web has made possible a truly incredible collection of tools by which we can assemble combinations of things that we find useful – again, without any centralized control. One example of this is MOOCs (Massive Online Open Courses), which I’ll be writing about more soon: the content for a course is made available to anyone who has internet access, which is enormously different from requiring that someone travel to the school. Technological advances are making new things possible, and our deepening conception of what medicine is about (and how best to achieve care) are changing our thinking about the nature of the work. 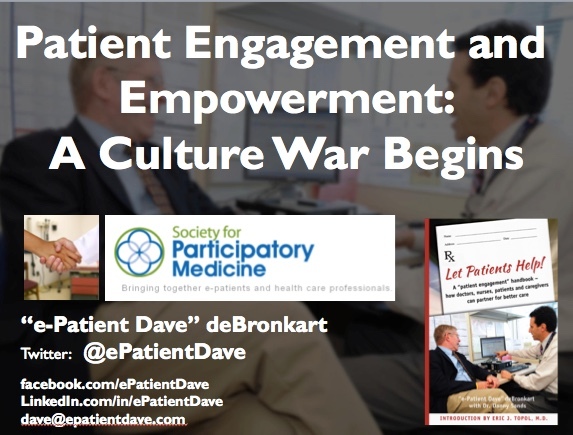 We are truly shifting from “the doctor knows everything that needs to be known” to patients as potentially capable partners. This is real culture change. Predictably, the establishment fights back: some people don’t believe it, some just don’t like change (especially change in their work), and some don’t like what they perceive to be a challenge to their authority. I also pulled out some props – including a 3D printout I had done locally of my lungs (my bronchi and metastases). I told you that when things digitize, new stuff becomes possible. 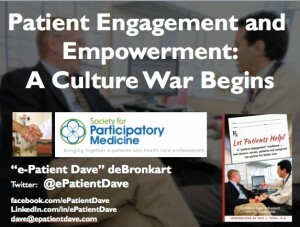 Speaking Nov. 10 at Sacramento Health 2.0 … join us! 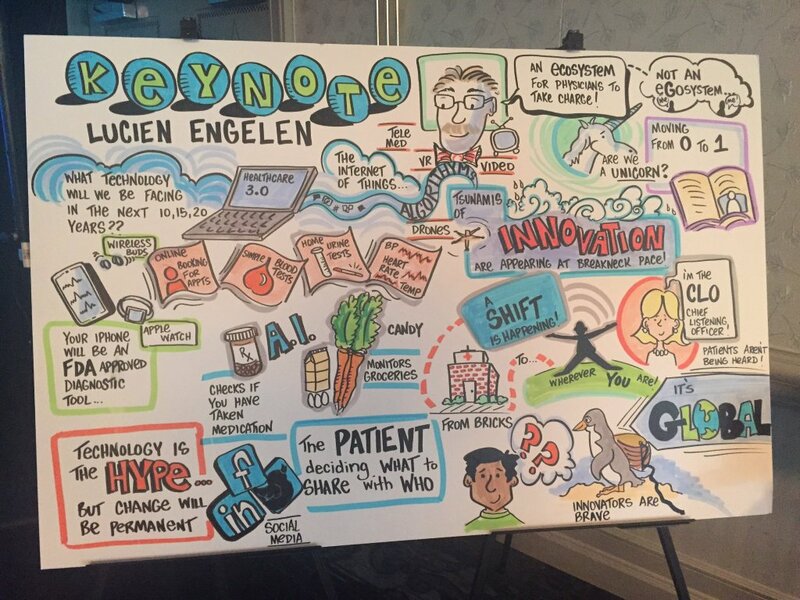 Everyone in the “health 2.0” world knows that the Health 2.0 conference is the conference in the health 2.0 world. It’s where everybody has to be, if they want to be known in that high-powered innovator world. Proof got even deeper when, a couple of years ago, they shifted venue from downtown San Francisco to the belly of the beast: Silicon Valley. Less well known is that Health 2.0 has a number of outlying communities, and one is in Sacramento, the state capital. Next month I’ll be speaking there, at a free event open to the public. 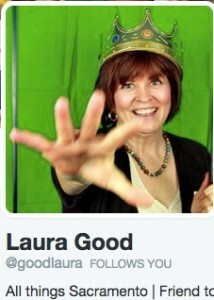 A special thanks to one of my earliest Twitter buddies, @GoodLaura – Laura Good – who, it happens, is a startup geek in that very area and involved with Health 2.0. My first private twitter messages with Laura were in 2009! (If you must know, it was about some typesetting arcana that were raising puzzles in Microsoft Word.) How sweet it is to cross paths IRL with long-time online peeps!